Today is Equinox, 20th March 2018 at 16.15 Universal time – 17:15 Central European time. The time of the balance of Earth – twice a year all over the planet it is the same lenght of day and night. We enter Equinox with a stationary Mercury (conjoining Venus) that starts to get retrograde in Aries, which turns the thoughts more inwards to inner imagery and dreams and visions. Additionally to this, Mercury is the esoteric ruler of Aries on the esoteric level, which may represent symbolically that the emotional quality of Mars can and shall be replaced by the thoughts and reflections, Mercury can do. It also shows a very important energy change – The change in the Astral plane that came to its strenght under the reign of the 6th ray, but this ray is no longer in action since a few hundred years. The 6th ray of devotion was an influence, where under ideals the religious fights were done. Devotion in that sense was rather a following an order without questioning it, a true soldier under an outer command. A diciple of a guru with not questioning anything. Mercury as planet of the 4th ray brings along 4th ray influence of harmony through conflict, the ray of artistic expression, which is one of the new influences to start and take over the 6th ray astral plane (along with the 2nd ray of Love Wisdom). The forth ray starts to be activated on Earth around 2025, so we ARE ALREADY in the time frame when the 4th ray is starting to emerge on Earth. Mercury as the estoeric ruler on the soul plane of Aries therefore may bring new insights, emerging aspects of the incoming new energy, so an other way of thinking or processing e.g. by artistic expression or expression that is able to show all sides of a story, creating a rather holografic image than a one-sided-story. Being aware of these new forms may also have a freeing aspect on the own mental plane. Personally, i find stationary and retrograde mercury a good time to deal with frozen thought forms on the astral plane or mental plane that I am attached to or fixated at. 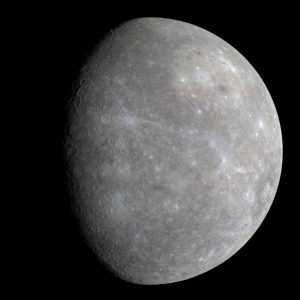 Mercury (stationary / retrograde) gives insight – also on habits and on thought forms, so my inner quest is to dissolve my attachment and heal my emotional impact on the thought forms during my night sleep – which activated other parts of my dreaming. If you are also interested in this work, i would suggest you to ask your inner higher aspects before going to sleep that you would like to work on detaching from thought forms you stick to as pattern or behavior. To do so, create on your inner a space of training and no manifestation, that you enter in dreamtime, so you can look at the patterns and train to solving or de-stress them until you reach the goal of detachement / being freed of them. Under this suggestion the dreams you experience may alter – so e.g. showing you a similar situation again and again with other people, but same content with the possibility to changing habits in the dream already.So when you wake up, your inner has already found a way to deal with them and all it needs is the active agreeing that you want to be free of these attachments and habits – so it will find a path to manifest this then in the everyday life. In whatever way, enjoy the instream of new ways of thouhgt forms on the incoming 4th ray on a solar esoteric quality of the soul through your own inner reflective work. Mercury from the wikipedia common licence site. Dieser Eintrag wurde veröffentlicht in Astrologie der Seele - die Qualit, Astrology and Earth cycles von Octavia - Sternenfarben. Permanenter Link des Eintrags.